Louisa Clark (Emilia Clark) needs to find a new job in her quaint English countryside village. She desperately needs the money to help support her family. 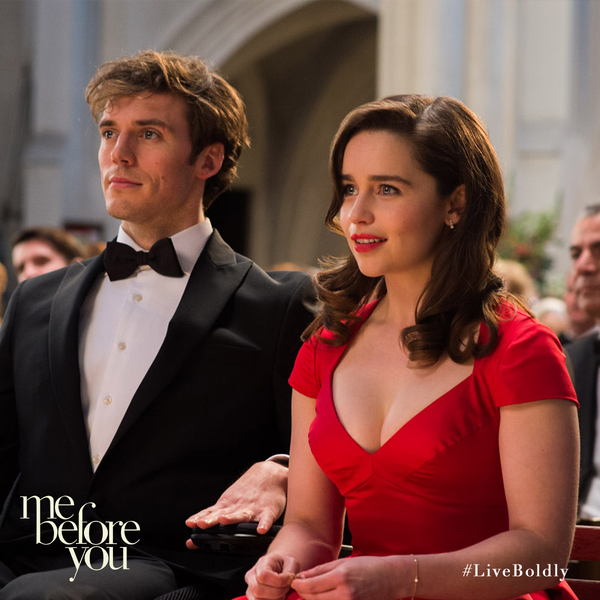 As a result, despite having no experience in the field, she leaps at the chance to become a caregiver to quadriplegic, Will Traynor (Sam Claflin). Once an active, adventurous young man, since his accident, Traynor has all but given up on life. However, as Lou gets closer to Will, she becomes determined to prove to him that his life is worth living. 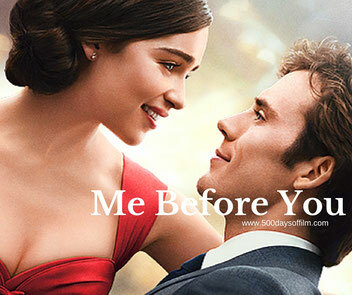 Me Before You is based on the 2012 bestselling novel by Jojo Moyes. If you are a fan of the book you can relax. Moyes wrote the screenplay and, as a result, the film is a faithful and satisfying representation of her book. Director, Thea Sharrock’s, film is warm, entertaining and, ultimately, heartbreaking. Much of my enjoyment of Me Before You is down to the central performances of Sam Claflin (Hunger Games) and Emilia Clarke (Game Of Thrones). They are charismatic, engaging and have great on screen chemistry. Clarke has the most gorgeously expressive face and I warmed to her immediately. Meanwhile, Claflin (whose face isn’t bad either) is superb as Will – particularly in the final, emotional moments of the film. Mention must also be made of Matthew Lewis’ (Neville in the Harry Potter series) performance as Lou’s running-mad boyfriend, Patrick. Lewis takes a character that could have been just an annoying afterthought and makes him endearing, humorous and human. I enjoyed Me Before You more than I had expected and was relieved that it did not overdo the desperate sadness of its story. As a result, by the end, I felt uplifted by this engaging and undeniably romantic film. Me Before You has attracted much controversy in recent weeks. Some disability awareness groups have taken exception to the fact that Will Traynor has given up on life since becoming disabled. The film has also been criticised for featuring an able-bodied actor in the lead role. First of all, I agree that people with disabilities should be better represented on our cinema screens. I agree that these roles should not always focus on the disability. I also agree that these parts should be portrayed by disabled actors wherever possible. This is not a movie without flaws. There were moments in Me Before You (much like in Miss You Already) where the wealth on display felt jarring. Will Traynor’s life is unimaginably hard but he has access to incredible support, technology and equipment. In addition, the movie skirts around the issue of assisted suicide. Arguments for and against are raised but never properly developed. However, I do not write this as a criticism for I do not believe that Me Before You is an appropriate vehicle for such discussion. While the activists have undeniably achieved their aim of attracting publicity to their cause, I feel that targeting this film with such vitriol was ill-judged. 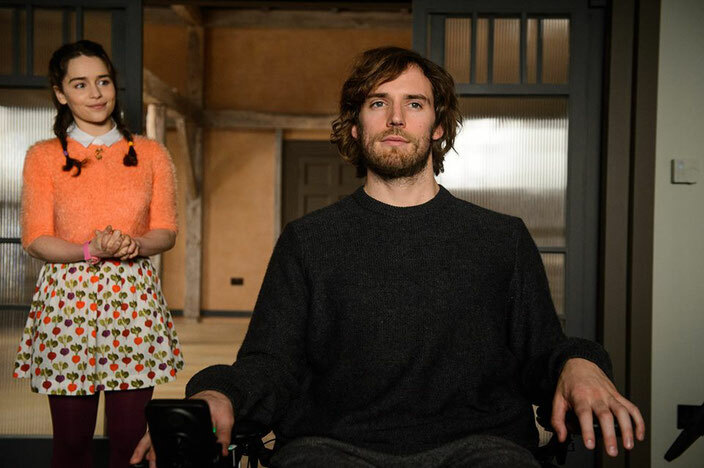 Me Before You is not a film about the reality of living as a quadriplegic. Indeed, all of its characters live in a romantic, fantasy world - albeit with a tragic edge. I believe that anyone who watches this film (or has read Jojo Moyes’ book) will understand the film for what it is… and for what it is not. In recent weeks, there has been much talk about the lack of women filmmakers. As a result, I want to take a moment to celebrate the fact that Me Before You has a female director in Thea Sharrock (directing her first feature film), a female writer in Jojo Moyes and features female producers Karen Rosenfelt, Alison Owen and Sue Baden-Powell. The film also features several strong, positive female roles. In one scene, Will encourages Lou to watch a film with subtitles. The fact that they watch one of my favourite movies, the French film Des Hommes Et Des Dieux (Of Gods And Men), made me warm to Me Before You even more. If you get the chance, do watch Of Gods And Men. If you have, what did you think of this film? Do let me know by leaving me a comment in the box below! It's probably one of the most uplifting and romantic movie I've ever seen. I watched it 3 times in a row! I fell in love with Emilia Clarke's expressive face. Hi, so glad that you enjoyed this movie so much! I agree, Emilia Clarke is so expressive. I am looking forward to watching this again! Hi! I’m really glad that you enjoyed it and also found that inspirational message within its story.